Free Wonderland from the loving zombies' plague! The world of fairy tales has been overrun by a plague of bizarre zombies that wander along surrounded by a lovely yet pungent smell. Back to his hometown after a long time, Momotaro (from the Japanese tale "The Peach Boy") encounters these pests and finds himself forced to solve the issue. Armed with powerful weapons, Momotaro will meet through his adventure the most popular fairy tales of the world, as well as allies who will help him to finish off the craziest and loveliest zombies you can imagine. Enjoy the action however you like, whenever you want! Progress in the story by your own or let a friend join the action at any time in the Arcade mode, all with the control scheme that best suits your playstyle. 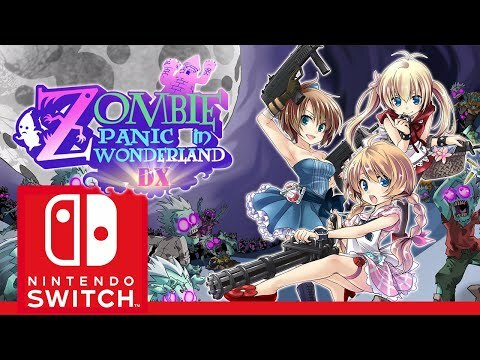 Zombie Panic in Wonderland DX was released on Switch 90d ago in the US and the UK. Notify me when Zombie Panic in Wonderland DX is available.